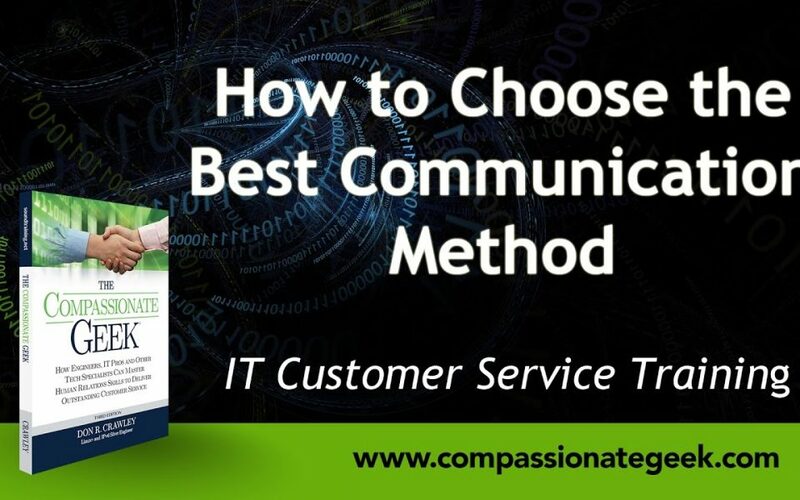 http://www.doncrawley.com Is email the best way to communicate? What about texting? Or chat? Or on the phone? What about Skype or other Internet video calling options? Maybe you should just go see the other person in person? Oh wait, there’s always Snapchat. Or what about Twitter? Facebook Messenger? WhatsApp? Hangouts? What about an old-school paper letter? 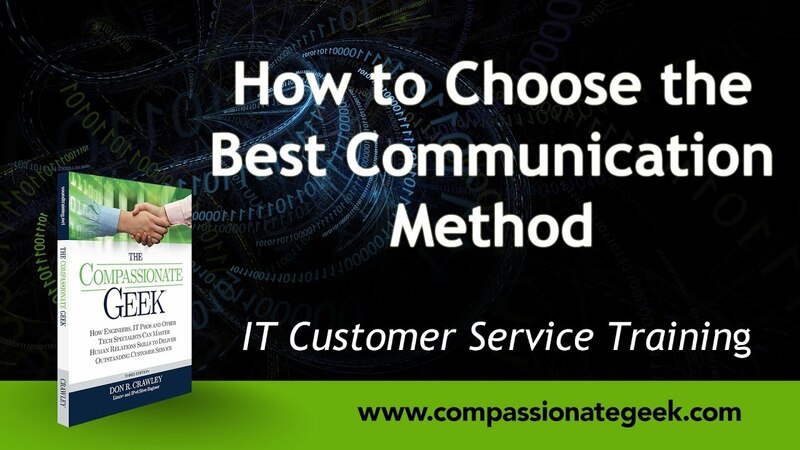 With the myriad choices available for communication, how do you choose the best one? As with most questions today, the answer is “It all depends.” It depends on the nature of the communication, the preferences of the parties to the communication (especially the receiver), and the need for privacy.